Consider this your very own personal spring motorcycle to-do checklist. Follow these 5 simple maintenance suggestions and you’ll be all ready to de-winterize your motorbike and get a nice smooth start to a sunny new season. Have a look! Temperature changes can create condensation in your motorcycle or scooter. Keep them running on fresh and clean oil. 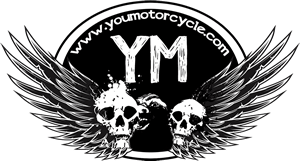 Here are step by step instructions on how to do an oil change on a KYMCO Venox, and instructions on how to do an oil change on a Suzuki Boulevard M50. If you don’t have one of those bikes, don’t worry: a lot of motorcycles will follow the same basic format, so you can use those as a starting point for any bike. 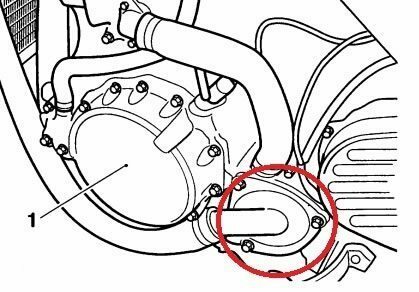 New spark plugs are an easy way to keep your motorcycle starting without effort, especially if you have a carbureted motorcycle, and the spring is as good a time as any to change them. At a few dollars a plug it’s an affordable way to keep performance strong. A spark plug may be small, but it has many components to it. You can tell a lot about how your motorcycle is running based on the color of the ground electrode and the texture on thread. 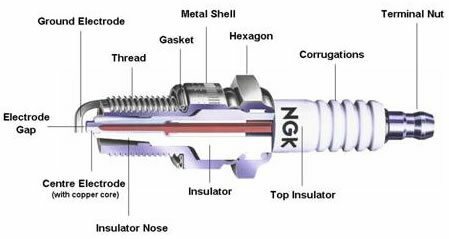 Fouling or improper Electrode gap is all it takes to throw off your ignition. 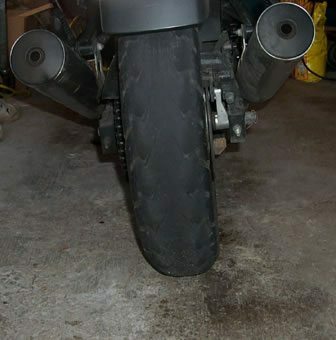 Note: you’ll want to make sure you set the gap to the right amount for your motorcycle. This should also be in your owner’s manual or service manual, but if not, just call the dealership and they’ll tell you. It’s super easy to set the electrode gap (sometimes called “spark plug gap”) – all you need is one of these $2.00 spark plug gap tools from Amazon. Check your owners manual and ensure you have the proper tire pressure in your front and rear tires. While you’re down there, measure your tread by the tires’ warning lines. Also keep your eyes open for any cracks or rot on older tires along the sidewall (the part of the tire that runs vertical and connects to the rim). The rear tire in the pic is looking like its about had it. 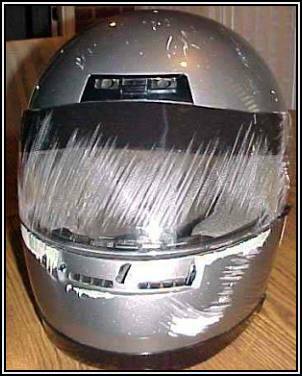 Check your helmet, visor, and other items of gear and ask yourself how old they are and if they’re up for one more season. If you’re looking to save a few dollars you might want to check out these tips on Buying New Vs. Used Motorcycle Gear. Some pieces are worth saving on, others should be avoided at all costs. Changed your oil? ‘Cause it’s supposed to be changed every 4,000 miles or so. Changed your oil filter? ‘Cause same. Changed your radiator coolant? ‘Cause it’s what keeps your motorcycle from overheating, and helps with performance, and you’re supposed to do it every year or every 6,000 miles, whichever comes from first. Changed your brake fluid? ‘Cause it’s literally what stops you from dying, and you’re supposed to do it every time it starts getting dark or sooner. How often have you even checked the color of your brake fluid? Radiator fluid and front and rear brake fluids need to be drained and flushed every so often. It’s easy to take these for granted and forget all about them, but check those levels and consult your owners manual. As a general rule, try to change the coolant every year or 10,000 km, and your brake fluid reservoirs every year or two. Bonus tip: Always remember the rider needs his or her fluids too. Stay hydrated! One final tip, always remember that the rider needs to keep his or her fluids topped up too. Stay hydrated folks. It helps keep your senses sharp and keeps you on top of your A-Game. In the spring time you might have a little rust and dust as a rider from too little time in the saddle, so stay safe, play it smart, make sure your bike is in tip-top shape, and rock on. You’re all set for another exciting season. Happy riding, shiny side up everyone! Tip number six. If your bike hasn’t had much use over winter, drain the carb’s float bowl! You’d be surprised at the level of condensation that buils up in even a mostly full fuel tank and it sinks to the bottom so it is among the first fluid to go into the fuel system when you start her up! A great read. A periodic check of the machine is always advisable.